Businesses looking to use dedicated servers need to be prepared for the impact the upcoming release of Windows Server 2012 will have on their activities. It was noted by ZDNet that there is “a lot to get excited about” with the new platform, which will be available from snelsever.com after its release and should make managing a network easier than ever before. The publication highlighted features such as Hyper-V 3.0, which should make it much easier for an organisation to manage their virtualisation solutions. It claimed this addition alone is worth the cost of upgrading to the new operating system (OS), which was recently released to manufacturers ahead of its general availability later this year.ZDNet said it will be hugely beneficial for companies that are looking to lower the cost of virtualisation as well as build a shared virtual infrastructure and high-performance VDI-based apps. “There’s also a lot of new storage and networking technology integrated into the OS, which you would otherwise have to spend oodles of IT dollars on if you tried to buy the same functionality through the third-party vendor route,” the publication stated. It also noted the platform will be vital for organisations that are expecting to upgrade to Windows 8 on their desktop and laptop PCs. Windows Server 2012 will also be the key infrastructure that helps make the Windows 8 OS a success in the enterprise market, especially if companies are looking to port business applications to web-based apps and take advantage of some of the great range of dedicated quad-core servers from snelserver.com. Microsoft has also advised businesses to plan ahead for the introduction of the new platform, with lead platforms analyst for Directions at the firm Michael Cherry telling V3 enterprises need to assess their current licensing deals and deployment solutions. He explained Microsoft is planning a major reshuffle of its deals for the release of Windows Server 2012, reducing the number of options down to four. This will see the end of Windows Home Server and Small Business Server as well as more limited options for larger firms. “You really only have until the first of September … in which to see if any of these opportunities make sense for your organisation,” Mr Cherry said. 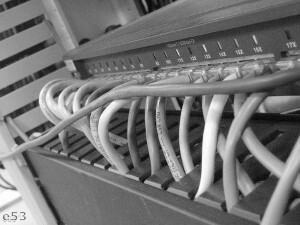 Click here for the latestdedicated server with free dedicated KVM over IP from Snelserver.com.